On Sunday I hit the track. But, don’t get too excited… I was just cleared by the doc to run a mile or two on “soft surfaces” Yep, Big Timer now! 😉Paul went with me and we ran a mile and half around the track at Cobb Middle School. Immediately my calf tensed up – ugh! But, as we continued and warmed up my calf eased up a bit and so did my mood 😉 As we circled the track, memories of running my 400’s and 800’s flashed in my head. 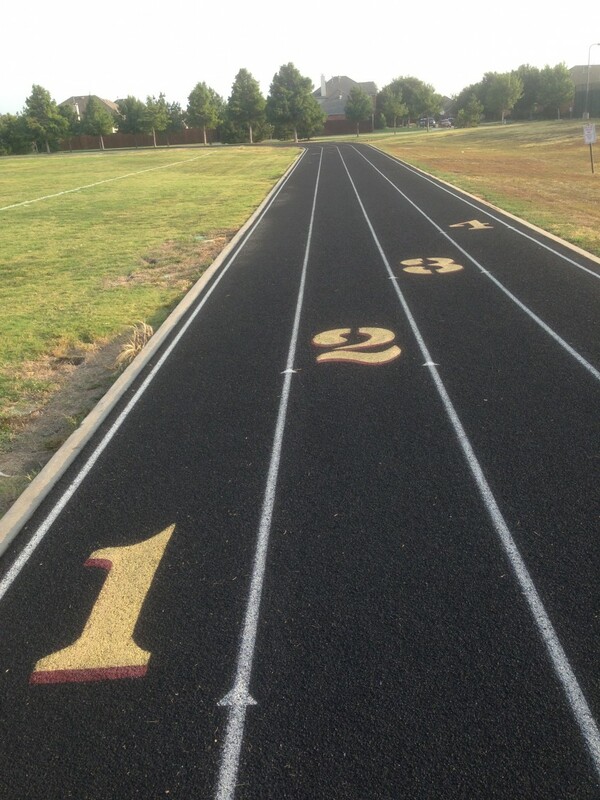 What I wouldn’t give to be flying around this track again – huffing and puffing near passing out dead from exhaustion. As we ran, Paul was out in front of me – setting a “quick” pace. “This has got to be a first” I snarked in my head as we continued running through the thick muggy morning air. “Jules, remember it wasn’t long ago that you were just training up for 5 and 10k’s,” said Paul seeing the frustration on my face. 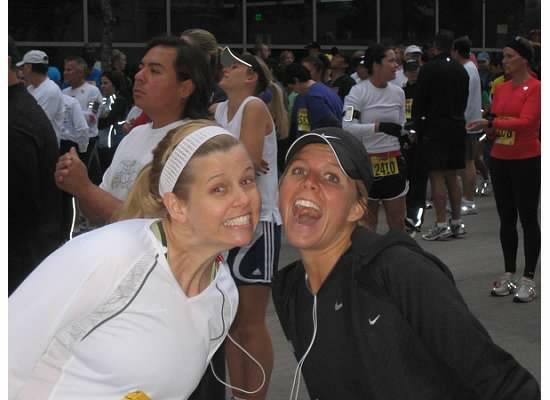 He was right – my running journey didn’t really start until we moved to Dallas in 2007. I distinctly remember running my first 5 mile run ever at Katy Trail and thinking it was like running to Fort Worth or something? And, I was spent the entire day on the sofa. D.O.N.E. But, I caught it – the running bug! It was incredibly hard work and at times I didn’t know if I was going to be cut out for this? I was not as skinny or as fit as other “runners” and the banter about PR’s (Personal Records) was awfully intimidating. First, I didn’t really have any so-called “PR’s” to speak of and I knew I wouldn’t have bragging rights anyway? Oh, and Garmin to me was something we put in the windshield of the car for directions – not a runners essential wrist accessory! And, I made the mistake of cutting out the inner lining of my nike tempo shorts because “why would anyone want that extra underwear?” (I have since learned that it’s pretty important – but that’s another topic entirely.) I also ran with an Ozarka water bottle – who would of thought they had these fancy handhelds that adhere to your palm perfectly? I did make the smart decision to go to RunOn to get maybe my second pair of “real” running shoes. The sales guy was super helpful but also used alot of foreign terms? I brushed it off like I understood and just shook my head along to things like “doesn’t look like you pronate” I recall, to this day, this very conversation when he asked me if I had ever ran a half marathon. And I replied, “no, not yet…I can only do about 5 miles right now” He said “well, if you can do 5 miles you can easily train your way to a half pretty quick. And, before you know it you’ll be able to pace out a half marathon.” I remember thinking “pace myself though a half marathon? Is this guy crazy?! I can barely run 5 miles! Covering the distance for 13.1 at pace seems ridiculous!” Thanks for the shoes mister – later! Well, that Spring I ran my first half at the “Rock to Victory” half marathon (now the Rock n Roll Half). I was still scared strait to cover the 13.1 miles but I finished. And, that was the beginning of my addiction – March 2008. It may seem like I’m back at the beginning – but I know it’s all worth it – and I’ve learned a few lessons along the way.